Your skin is infused with nutrient-rich active ingredients that penetrate even the deeper layers. Your complexion instantly looks fresher and more radiant. A second, larger electrode can also be used to treat the body. A visibly improved complexion directly after the first treatment session. Generates an electromagnetic field within which cell membranes reorganise and microchannels are created. 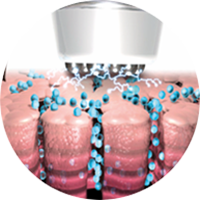 A synchronised impulse-emitting field enables the active ingredients to penetrate deep into the skin via microchannels that open only briefly. The risk of side effects is negligible and the treatment requires no recovery period. A complete facial treatment lasts 1.5 to 2 hours. For optimum results we recommend 6 to 8 treatment sessions, depending on the condition of your skin and what your treatment goals are. 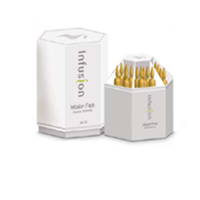 Infusion is a safe, needle-free treatment method for the face and body. People describe the treatment as feeling ‘tingly’ or ‘like tiny pinpricks’. The treatment is generally well tolerated and there is no need for anaesthetics of any sort. When do the results of the treatment become noticeable? 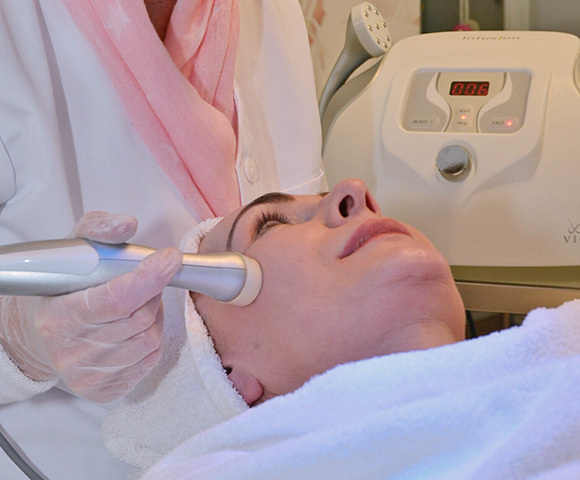 You will already see an improvement in your skin complexion after the first treatment session. A painless and needle-free alternative to traditional mesotherapy. No side effects and no recovery period. 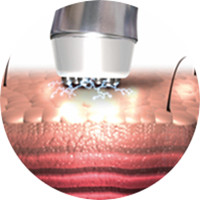 Because it delivers the active ingredients through the microchannels created, it penetrates more deeply than conventional iontophoresis and sonophoresis – techniques that penetrate the skin through the more narrow intercellular spaces. A high-quality solution of active ingredients reaches deep into the skin, promoting collagen regeneration, rehydration, skin firming, drainage and toning. With immediate effects! The treatment results are instantly apparent.